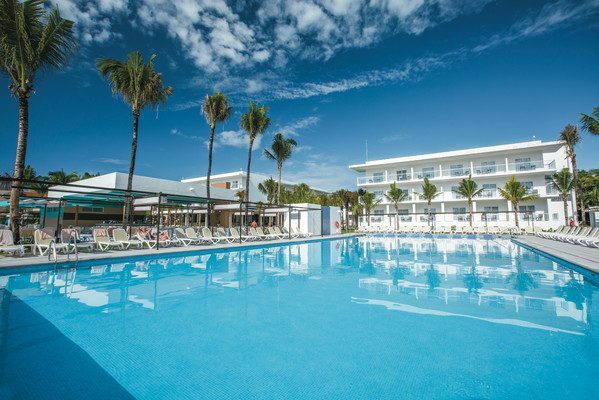 RIU Playacar is an elegant and colorful Caribbean style resort on the beachfront, surrounded by lush tropical gardens. Allow your destination wedding to have an enchanting atmosphere. 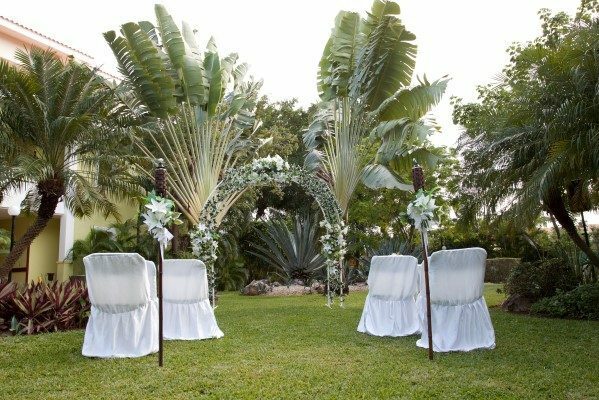 This resort will leave you breathless as you choose between its crystalline water beaches or verdant Mayan jungles as the background for your wedding ceremony. The resort also offers an incredible underwater world as well, where you and your wedding guests can explore the second largest coral reef in the world! The resort opened in 2000 and underwent extensive renovations in late 2015 to remodel all of the facilities and upgrade the whole resort. Every guest room was remodeled with new furniture, decorations, and the addition of new luxurious amenities in all rooms. The bathrooms in guest rooms were also fully renovated. The gardens were redone in order to make room for 3 new pools, and a separate children’s pool that includes water slides. 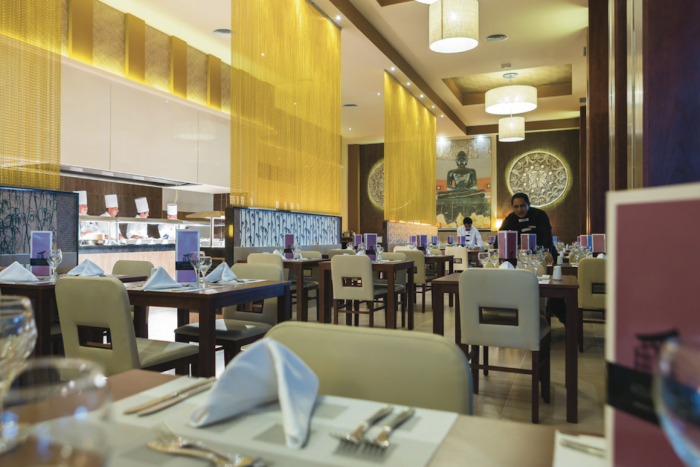 During this remodeling, the bars, restaurants, gym, spa, and lobby were all upgraded as well. Take a short ferry ride over to the island of Cozumel, famous for its snorkeling and scuba diving. Villa-style guest rooms are lively pastel colors and include beautiful hand-painted murals! RIU Playacar offers complimentary access to La Piata nightclub down the street at RIU Tequila! The base price for this package is $2199. There is less expensive wedding package available for only the wedding couple for $1299. Upgraded packages, additional guests, and add-ons are available for an additional cost. Beach – 100 guests max, Gazebo – 100 guests max. The resort will host no more than 3 wedding per day, Monday thru Saturday. Ceremonies will be held at 12pm, 2pm, or 6pm. Rooms range from $120 – $220 per person per night. Every room includes wifi, and a minibar, and a liquor dispenser. Children ages 2 and younger stay free. There are 396 total guest rooms some that offer with ocean views. There is 1 main building, and 8 other 2 or 3-story bungalows that make up the guest rooms and restaurants. Hotel RIU Playacar is located about 34 miles from the CUN airport. The resort is located 5 minutes from downtown Playa Del Carmen. There are 396 total guest rooms some that offer with ocean views. There is 1 main building, and 8 other 2 or 3-story bungalows that make up the guest rooms and restaurants. 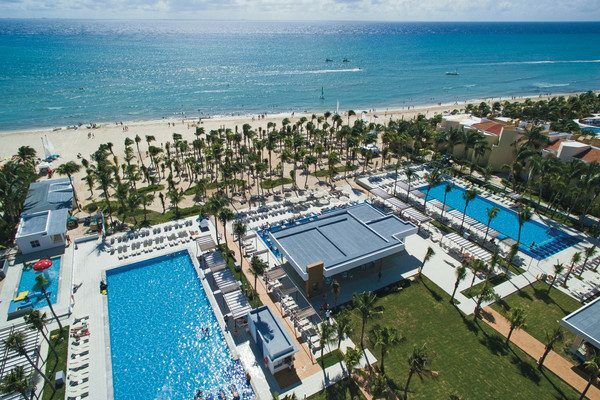 RIU Playacar shares exchange privileges with nearby RIU resorts. A: My favorite part is being part of the dream of many girls have for “their dream wedding,” and being able to see the result of both mine and providers´s work the day of the event. 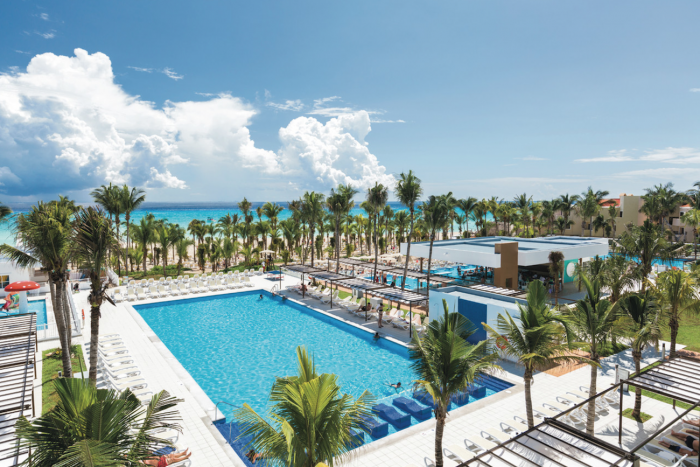 Q: What do brides usually compliment about RIU Playacar? 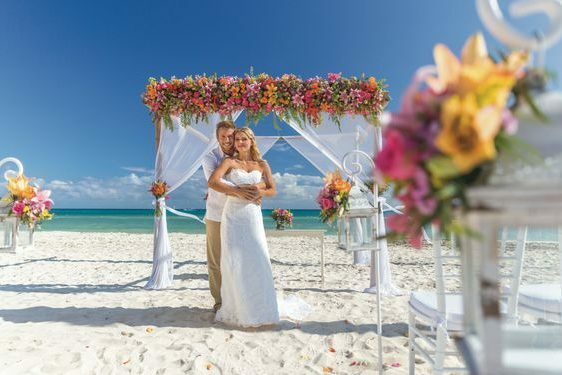 Q: What makes RIU Playacar such a great place for a destination wedding? 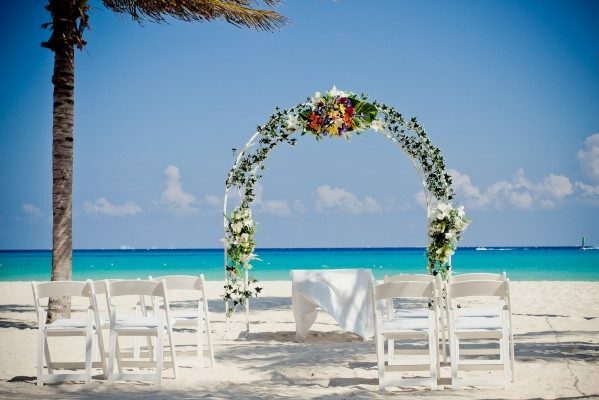 A: The special venue locations, really delicious food, and the beautiful beach scenarios of the Mexican Caribbean.